News outlets around the world have used strong words about the Wisconsin Legislature’s lame duck session. Power grab. Coup d’etat. Putsch. The Republican machinations to maintain control legislatively as Democrats take the executive office in both Michigan and Wisconsin are being described in national media with words usually associated with an illegal overthrow of a government. But after emerging from all-night negotiations in the Assembly, Rep. Joel Kitchens said some of the more egregious moves were scaled back. “Honestly, I’ve just hated this thing. It’s been the toughest thing I’ve had to do here,” Kitchens said Wednesday morning shortly after emerging from the all-night negotiations. 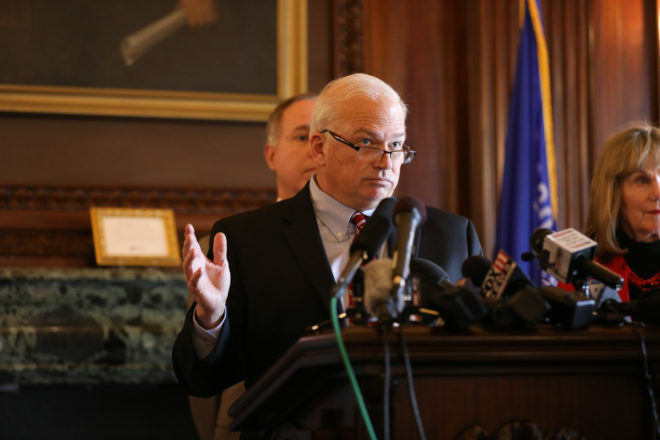 But Kitchens also defended the Republican initiatives as achieving a balance of power that had slipped too far in the governor’s direction during Scott Walker’s time in office. Kitchens said he was happy that the attempt to move the presidential primary to March failed because of the uproar and expense of three elections in a row, but he added it does make sense to separate a partisan primary from a nonpartisan election. Kitchens said he knows how bad it all looks, but said he truly believes the night of negotiations resulted in a fair balance of power between the legislative and executive branch. He said many of the issues aimed at incoming attorney general Josh Kaul were scaled back, except for elimination of the solicitor general’s office, which was a campaign promise of Kaul’s anyway, and the ability of the legislature to sit at the table if a law is called into question. The original plan to allow legislators to hire their own attorneys rather than rely on the attorney general died on the vine. 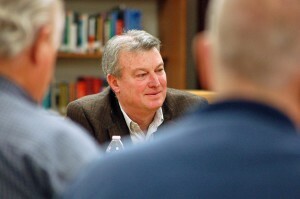 Rep. Joel Kitchens at the Sturgeon Bay listening session on Feb. 8, 2016. Photo by Jim Lundstrom. The one major change in the governor’s powers that was made evens the selection process of the Wisconsin Economic Development Corp. (WEDC) board between the governor and legislature, with the governor also getting to choose the leader of that agency. On the campaign trail, Evers said he would like to eliminate WEDC. “It favored the governor before. 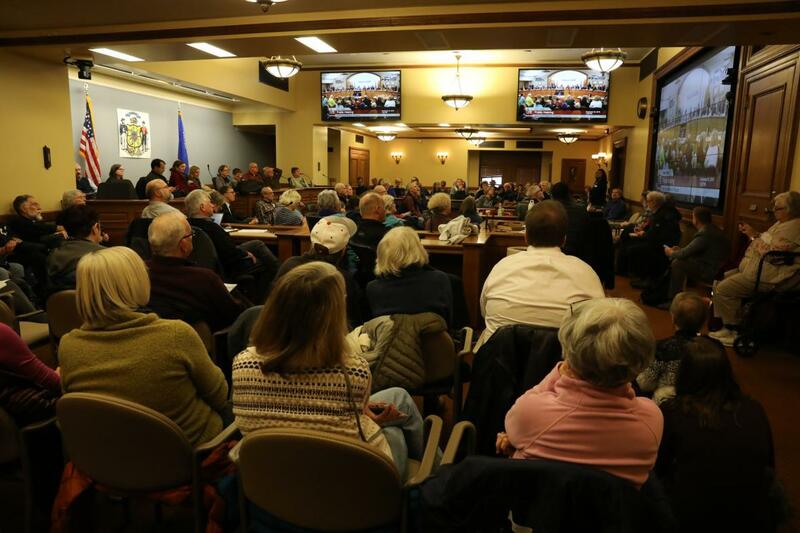 Now it’s going to be equal,” Kitchens said of the WEDC appointment process. Kitchens said despite the alarming “power grab” headlines, he feels comfortable with the balances that were put in place. “But it’s not a good way to start off,” he added. But Kitchens also acknowledges that trust is at an all-time low. During the Senate debate on Dec. 4, the gallery was cleared of citizens for being too rowdy in voicing their disdain for the actions. The changes passed the Senate on a vote of 17-16, with Republican Sen. Robert Cowles, R-Green Bay, joining all Democrats voting against. The Assembly followed suit shortly after 8 am Dec. 5 in a 56-27 vote, with Rep. Todd Novak, R-Dodgeville, joining Democrats in voting against. The bill now goes to short-time Gov. Scott Walker.